If you look back to the 70s, 80s and 90s, in every one of those decades, the industry found at least one 50+ million-ounce gold deposit, at least ten 30+ million-ounce deposits, and countless 5 to 10 million ounce deposits. But if you look at the last 15 years, we found no 50-million-ounce deposit, no 30-million-ounce deposit and only very few 15 million ounce deposits. Pierre Lassonde is one of the most well-respected and knowledgeable mining experts in the world. And he thinks we’re reaching ‘peak gold’. It’s hard to pinpoint a top or a bottom. But there is an interesting opportunity here since gold has fallen in price over the last several weeks thanks to an inexplicable surge in the US dollar. 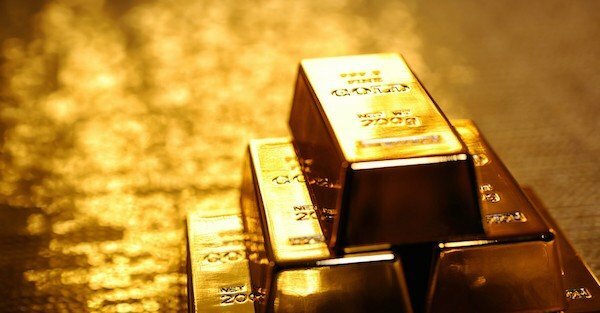 The long-term fundamentals seem pretty obvious– the people responsible for supplying the world with gold are saying the world is running out of gold and that supply is declining at an alarming rate. With a commodity like oil, technology tends to solve the problem of declining supply through more efficient production methods. When ‘peak oil’ started becoming a problem 10 years ago, the industry developed new fracking and horizontal drilling technologies. And other industries like solar and wind began developing better substitutes for oil. But there’s not really a substitute for gold. And the biggest players in the space are saying we’re running out. You can read the original article from April here.